With a lot of bad things happening in the world today, it may be prudent to invest in a CCTV security system for your home. While that idea may sound expensive, Xiaomi might just have the solution for you. Xiaomi has been on the market for quite some time now and proving to be quite a rebel, offering quality products at affordable prices. Mostly known for their phones, they also make laptops, routers, TVs, wearables and IP cameras and more. In fact, this is their third IP camera. Xiao Fang might sound funny, but it means “small square” when translated from Chinese (at least that’s what I’ve been told). The design is quite literally, a small square. 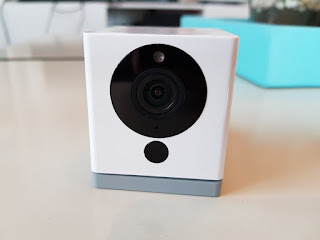 I have an existing IP camera, the Compro TN50W, which I also reviewed here. But it’s starting to show its age so. 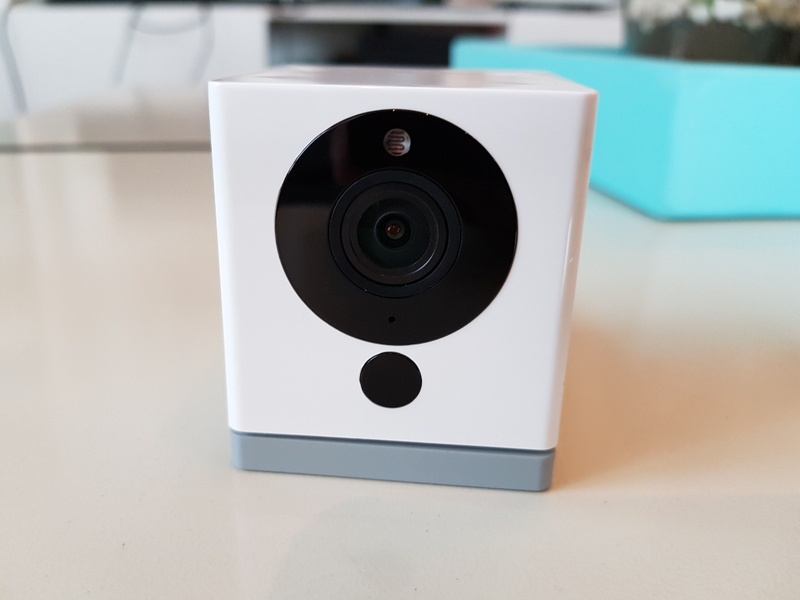 Taking advantage of a flash sale on Lazada.com, I decided to take a chance on this Xiaomi camera. Let’s see once again if I made the right decision. 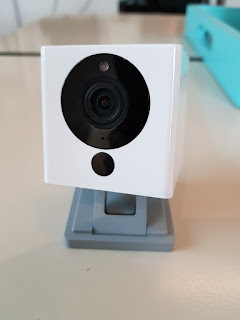 True to its name, the small square design is unique compared to other IP cameras. This design allows it to have a square and flat stable base, which allows for more mobility in different positions. The magnetic base provides additional mounting options. The camera has 1080P HD F2.0 lens with a nice and wide 110-degree field of view. Together with an infrared light provides a clear image day or night. 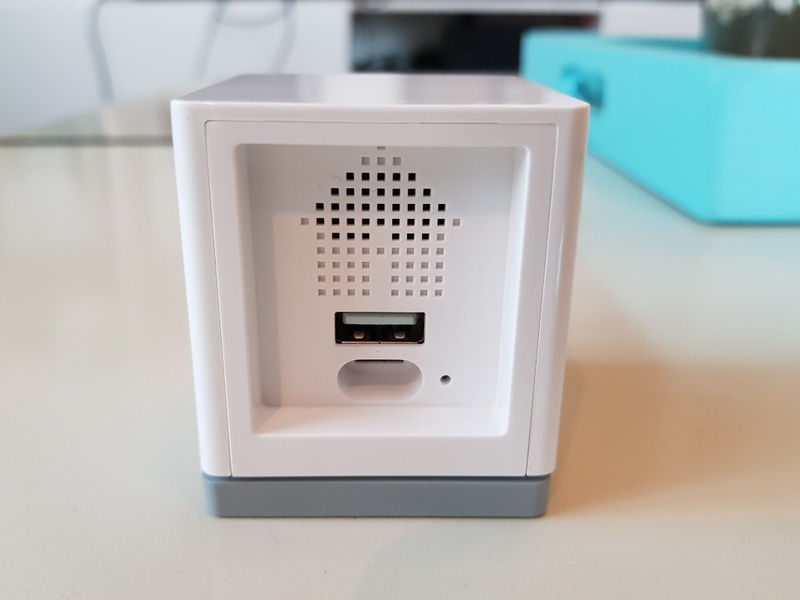 It also has other features like two-way audio calling, video recording via a micro SD card, Smoke alarm detection, and WiFi. All of which can be controlled by the Mi Home App. 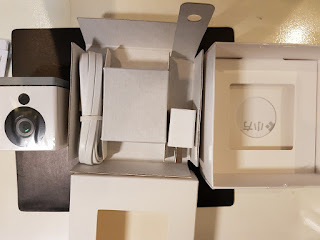 Another bonus is the fact that it powers over micro USB, which means you can use a Powerbank and place the camera in different locations even far away from a power outlet. 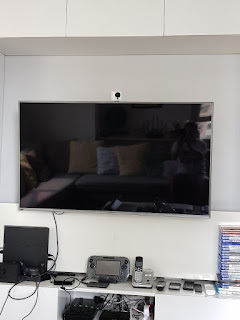 First of all, let me say that this was probably the easiest IP camera I have setup ever. It took less than 5 minutes from the time I found the installation tutorial on YouTube. With that said, all the instructions are in Chinese. Luckily, there are lots of video tutorials that are easy to follow. Once connected, everything is controlled via the Mi Home App, which is available for both Android and iOS. Again, the app is in Chinese, but once you set it up, there are English menus. The app is pretty straightforward, and you can control voice calls, video quality, recording settings, etc. The smoke alarm detector doesn’t actually have a smoke sensor but what it does is it uses the microphone to pick-up the sound from your smoke alarm. Overall, I’m pretty impressed with this “small square” camera. For Php999 (US$20), it’s quite hard to beat! It’s cheap, reliable, and video quality is pretty decent. The lack of English instructions is a small price to pay for an affordable home security camera system.